Capital gains taxes apply to online stock sales. 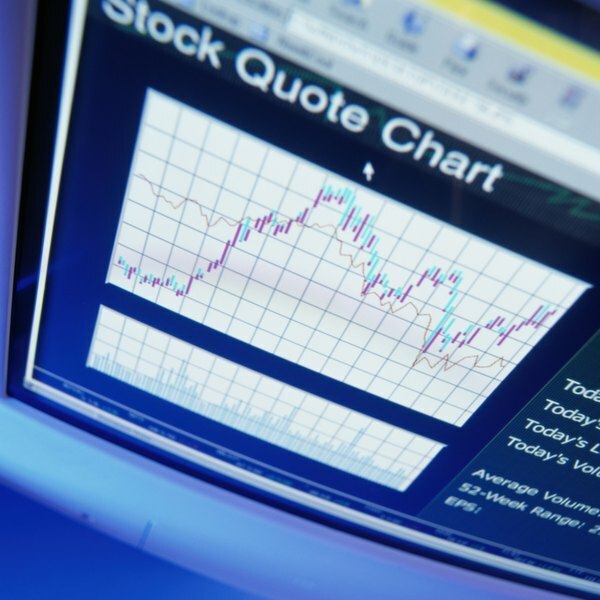 Online stock trading is a popular financial tool for individual investors. The Internal Revenue Service does not generally tax online stock transactions differently than those made through traditional brokerage houses. Online brokers, like traditional brokers, report stock sales to the IRS with stock purchase and sale prices. And online stock profits are subject to capital gains taxes, as are stock sales completed through traditional brokers. Online stock gains are generally subject to capital gains taxation. A taxable stock gain is the difference between the price paid for a stock and the net price for which it was sold. In 2013, the long-term capital gains rate is generally 20 percent and applies to stocks owned for one year or longer. The short-term capital gains rate is generally the same as a taxpayer's ordinary income tax rate. Low-income individuals may qualify to avoid all capital gains taxes. Many companies pay stock dividends to shareholders based on corporate earnings. Dividends must be claimed on recipients' yearly tax returns. In 2013, the general dividend tax rate is 15 percent. Individuals with yearly earnings of $400,000 or more pay 20 percent on dividend payments. Lower income earners in 10 percent to 15 percent ordinary income tax brackets generally pay no taxes on dividends. Dividends are usually paid quarterly, but taxes are due all at once at the end of each tax year. Qualified retirement plans, such as individual retirement accounts and employer-sponsored 401(k) plans, defer taxes on stock gains and dividends until account owners retire. Therefore, online stock profits and dividends are generally not taxed while they are held in retirement accounts. Generally, withdrawals made before age 59 1/2 are taxed and incur 10 percent early withdrawal penalties. Certain early withdrawals, such as those for qualified medical or educational expenses, are exempt from penalties, but they still are subject to previously deferred taxation. Online brokers report their yearly stock sales and dividends to the IRS on consolidated 1099 forms. They conveniently provide 1099s for clients online and also provide them by mail. Online brokerage fees, charged when stocks are purchased and sold, are adjusted into 1099 figures, so clients don't have to manually deduct fees to determine their stock basis and gains. You should verify that tax returns match figures on 1099s. Discrepancies trigger IRS inquiries and potential tax liability adjustments.